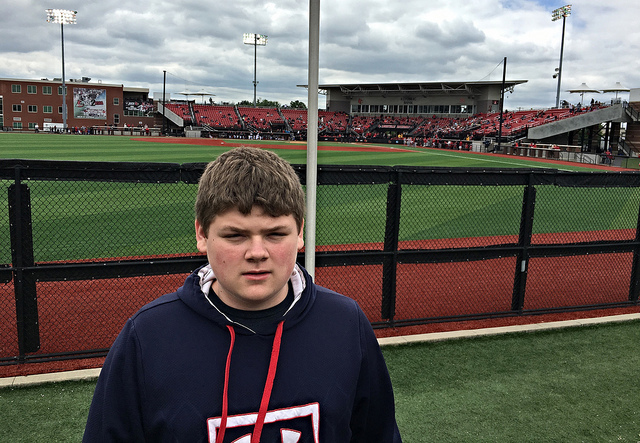 Jim Patterson Stadium-Louisville, KY: Well, I thought it would be a little bit warmer here in Kentucky, but last weekend was a little bit cool. With cold, nasty, rainy weather blasting the Midwest lately, I guess I can’t complain too much, as I’m sure we have it better than others. 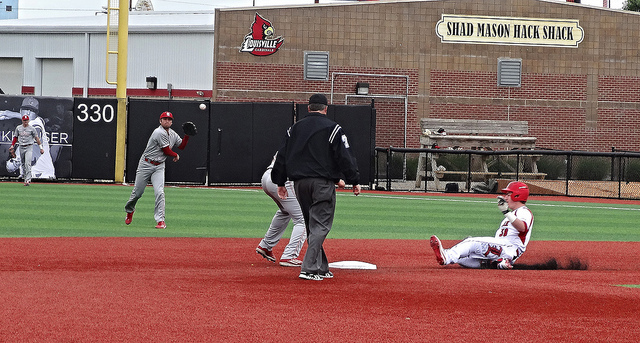 While the temp was a little on the cold side, the Louisville Cardinals baseball team stayed hot. 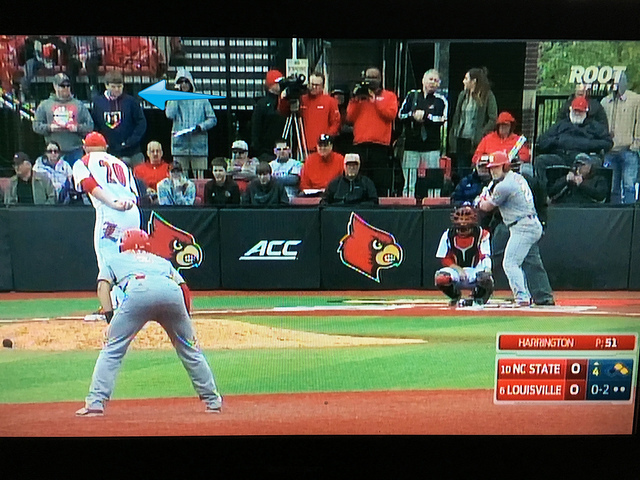 Hosting ACC rival North Carolina State, we were able to get downtown and see the middle game of the series. I brought the boys with, and as usual Brian decided to head to the playground. So, we’re back in the outfield, and that’s where we watched most of the game from. The first half of the game was definitely a pitchers’ duel. 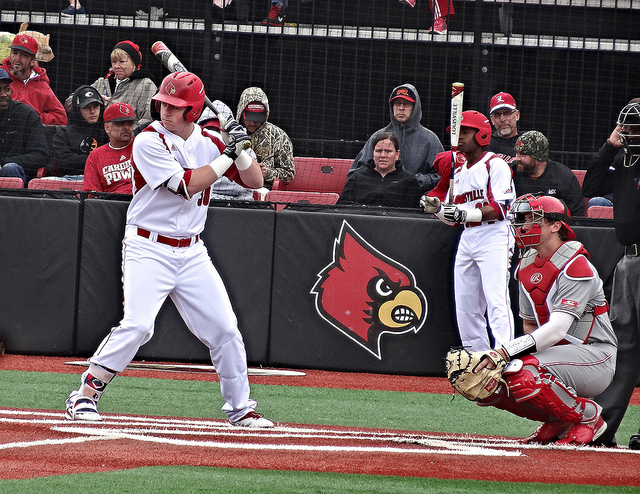 On the bump for the Cards, Drew Harrington picked up the win to improve his record to 10-1. He pitched seven innings allowing two runs, walking one, and striking out seven. 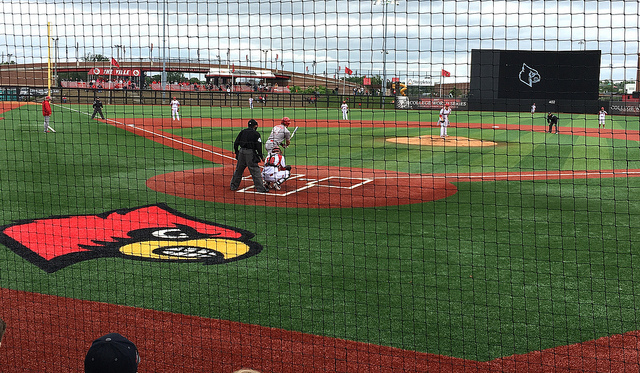 Zack Burdi can in to pitch the ninth and earn the save, striking out all three batters! 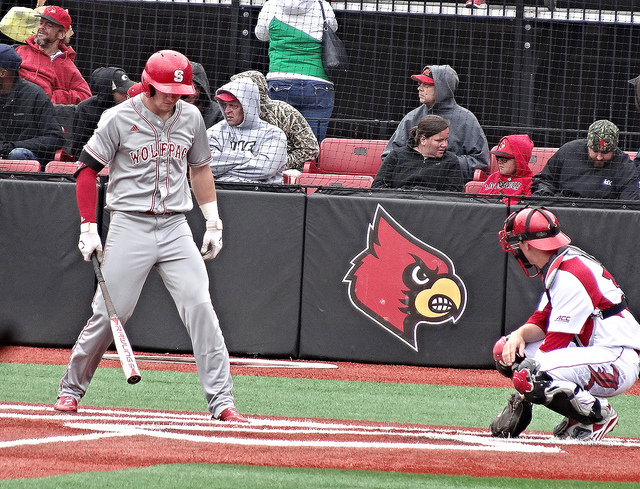 Louisville was led offensively by Brendan McKay, going 2-4 with an RBI. 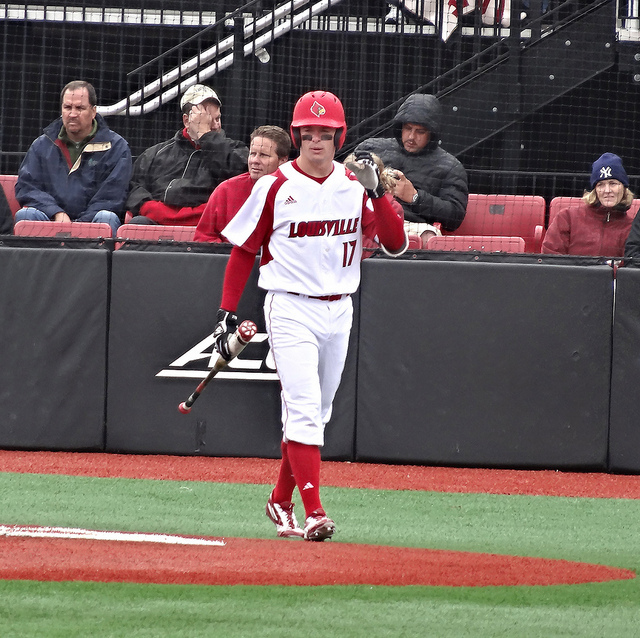 Drew Ellis went 2-2 with a run scored and a RBI. All the Cards runs were scored in the fifth inning. 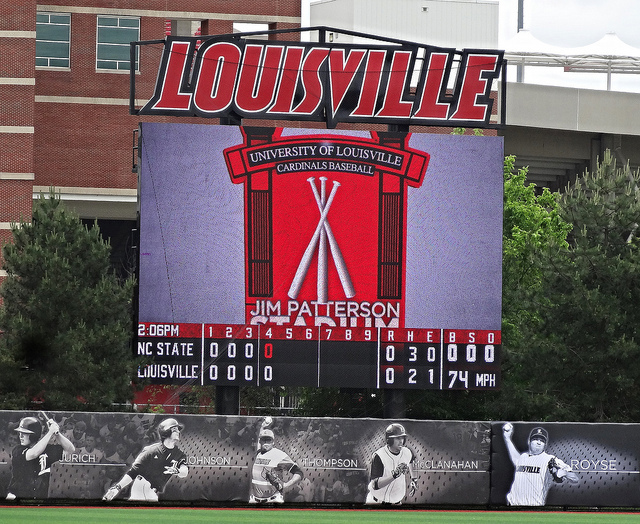 Final: Cardinals 4, Wolfpack 2. That sounds like a plan! ACC Land is a fun place to be. 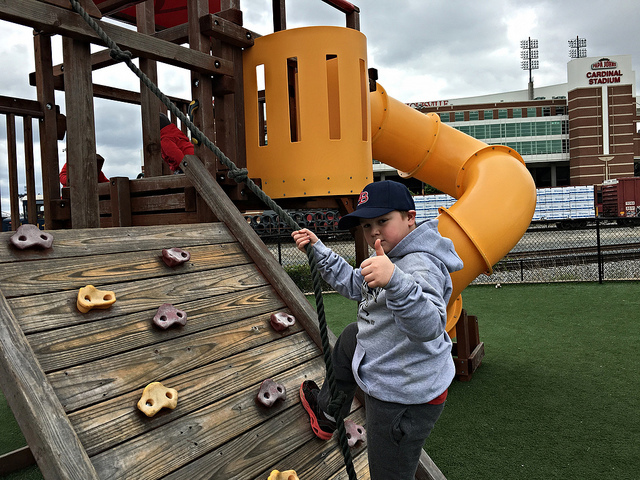 Check out this post from Minoring in Baseball.